'Acabame De Matar' & Countless Other Rancheras That Transcend Time And Generations - Fueled by chile, frijoles & tortillas. I’ve always been a huge sucker for rancheras. From the very first moment I escuchar-ed one (forgive my poor taste in language as I was recently made aware of my having this affliction) I like to believe that something instinctual was turned on inside of me. Something that made me want more. And eventually, not to mention much more often these days, something that made me feel perfectly comfortable belting out all of my favorite rancheras a grito abierto every chance I get. Regardless of how poorly my renditions are executed every time. In my wildest of imaginations I actually have a pretty damn good voice that eventually will lead me to personal and professional success, y quién sabe hasta maybe to el stardom, jajaja! I kid, as I hope you’ve figured out by now. 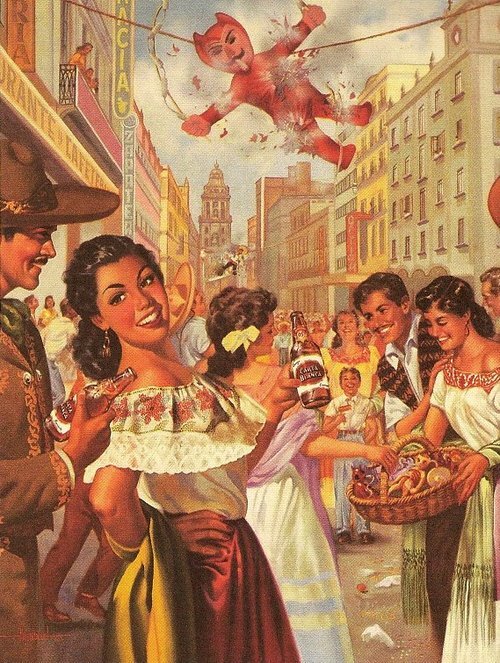 The truth is this music for me represents a part of me, a deeper connection to my Mexican roots, to the various cantautores that with only a couple of their vocals can send me almost to the brink of chillos y llantos. When I listen to the classics as I like to call them – songs like La Cama de Piedra, Penas En El Alma, Paloma Negra, Cruz de Madera, Acabame de Matar, and so many others – I am transported to different times and places in my life. In some of those places I am younger. The stupid kid who thinks he knows more about the world than his parents and who imagines himself living smarter and better than them just because he can. In some of them I am slightly older. That teenager and young adult making painful discoveries about life, those around him and himself. And in still others I am just a bystander trying to understand things that happened long before my time but that have everything to do with the way my life turned out in the end. I am there trying to understand what it must have been like to lose by mother at such a young age and to have grown up pidiendo una tortilla de casa en casa. What it must have been like to leave everything behind and become a slave to my work and a nothing to the country that my children have adopted. I imagine… and that is when the waterworks happen. Quizas I’m just more sentimental than most. It could also be the writer in me. Though the other day my youngest sister posted a lyric on her Facebook page that made me think instead that it probably might just be the Alanis and Maldonado in me. I like that explanation better.